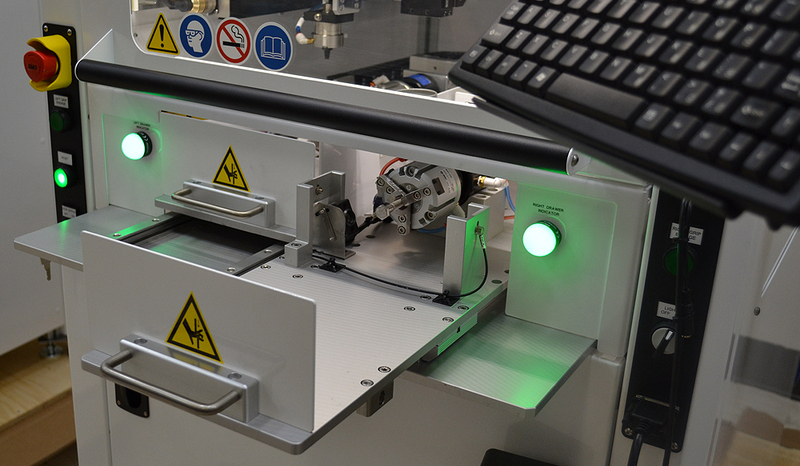 Expanding technologies in point-of-care, in-vitro, and laboratory diagnostic device coatings has led to increased need for precision coatings of active and non-active layers in manufacturing these devices. Ultrasonic nozzles can spray in any direction, coating targeted areas, complex 3 dimensional-shaped devices, and small components uniformly with very little overspray. 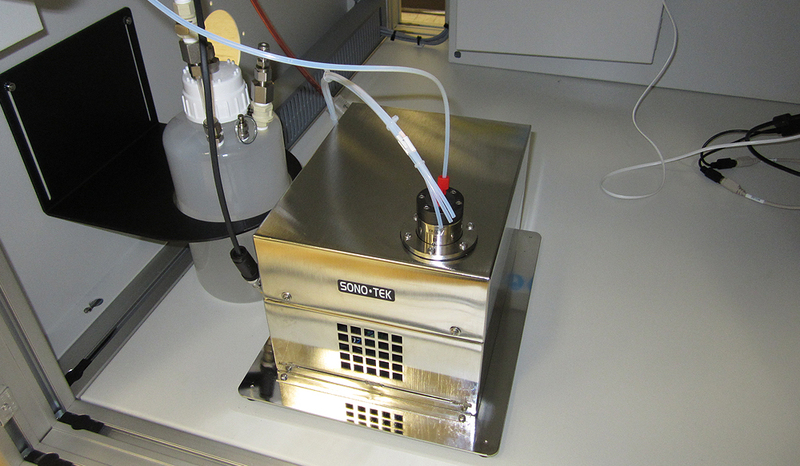 Ultrasonic spray coatings are highly controllable, offering very high transfer efficiency for precise thin films of solutions or suspensions such as biopolymers, proteins, EDTA, Heparin, amino acids, enzymes, blood plasma and preservatives. Reagent coatings onto microfluidic and microarray devices (lab-on-a-chip). Point-of-care diagnostic and testing kits. Blood collection and analysis devices. Molecular and protein diagnostic kits. Non-clogging design results in minimal servicing and downtime. Highly controllable spray produces reliable, repeatable, consistent results. Ability to spray ultra-thin, defined lines, often without masking. Soft velocity spray has little kinetic energy and will not damage or alter most delicate cellular structures. 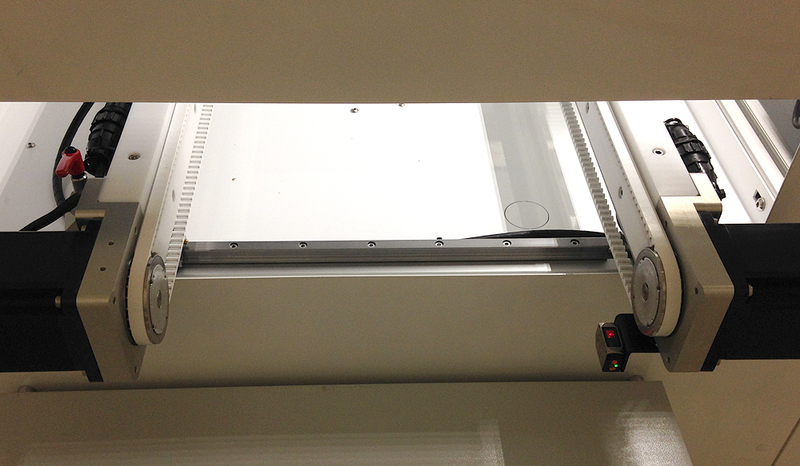 The ExactaCoat and FlexiCoat are full coating solutions for the application of medical diagnostic device coatings. Both are fully enclosed programmable 3-axis precision ultrasonic coating systems designed for spraying uniform thin films onto medical diagnostic devices and implantables. 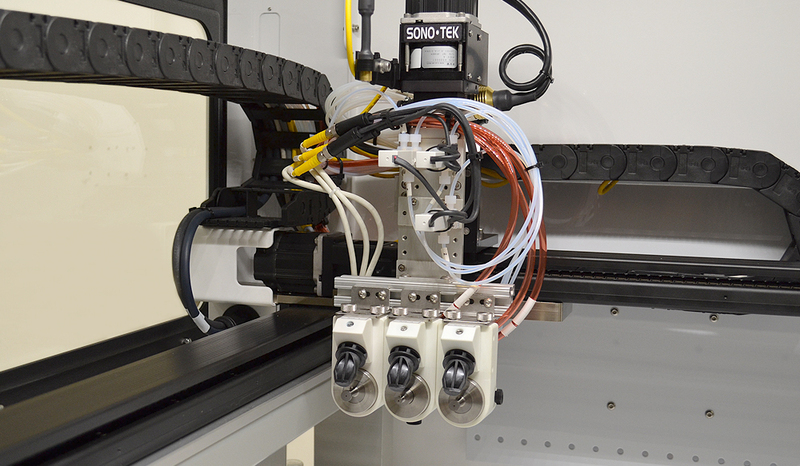 From R&D to moderate volume production, these systems are fully integrated with Sono-Tek ultrasonic nozzles, spray pattern widths can be easily shaped to accommodate various size substrates, including those with complex geometries. Sono-Tek works closely with manufacturers to develop a full coating solution tailored to their specific application. 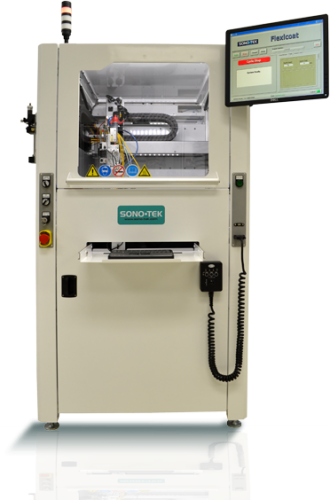 The world’s premier plastic laser welding equipment manufacturer offers Sono-Tek Ultrasonic Spray Technology. 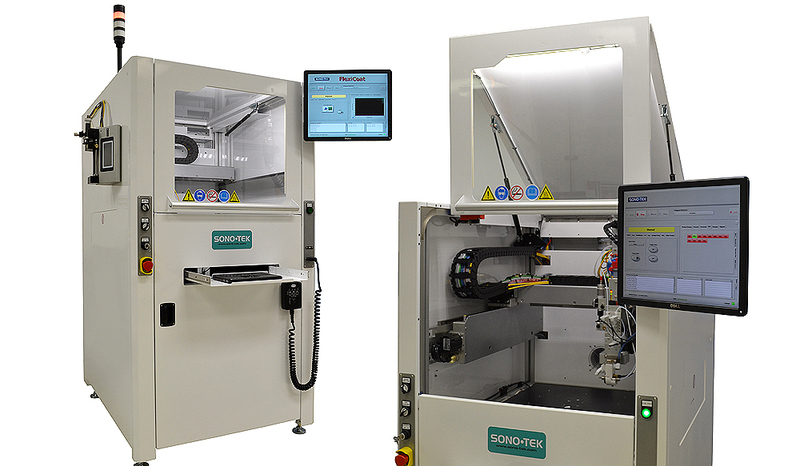 Contact this Sono-Tek partner to purchase your next system with integrated ultrasonic spray capability. 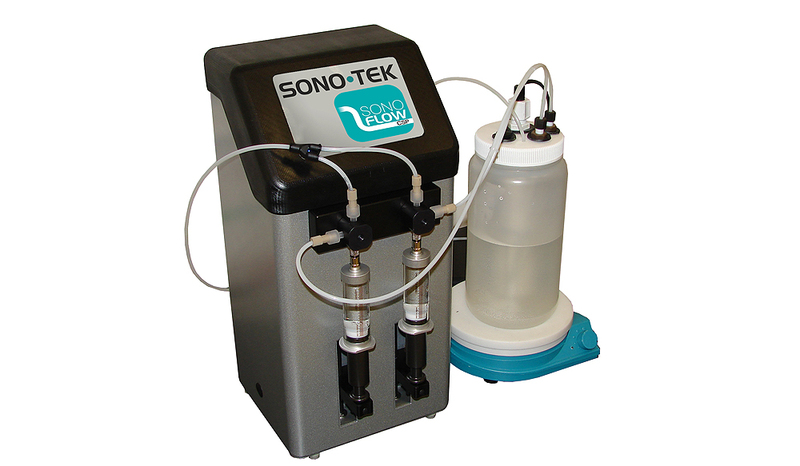 Sono-Tek is a Clearweld certified dispensing partner.